A familiar voice from everywhere, including within. 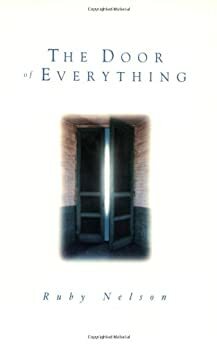 The Door of Everything, by Ruby Nelson (DeVorss & Company), is more than a book that I’d recommend, it’s a way of seeing, thinking, and being, that is worthy of consideration, no matter who you are, or what your current belief orientation may happen to be. The ideas revealed in this tiny volume can, if the reader feels a resonance, liberate and transform, not just one’s life, but the world around. In all the world, in all time, as long as this book has been around, and as important its message, it has not been made available, either as an audio or video-book. Until now. I have taken the liberty to record a reading of read the entire book — twelve chapters — as well as a short introduction. While the only important conversation that anyone needs to have is an internal one within Self, adoption and expansion of the understandings and relationships outlined herein, can change everything. Always wonder how I make these connections. You’ve been on my radar for about a year now via youtube and I recently saw your video regarding your book. I don’t see it on this site though. I would like to buy it. I so enjoy your musings. Makes me reflect. Thank you for all your insights. I have this book. I want to become a godman a christman is it possible nowadays? How far along are you on this path?